Toronto : The first case of Alzheimer’s disease diagnosed in an HIV-positive individual will be presented in a poster session at the Alzheimer’s Association International Conference 2016 in Toronto. The finding in a 71-year-old man triggers a realization about HIV survivors now reaching the age when Alzheimer’s risk begins to escalate. 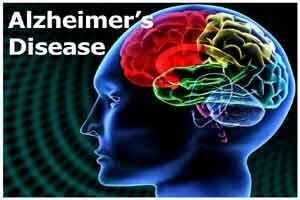 The case was first published online April 15 in the open access journal Alzheimer’s & Dementia: Diagnosis, Assessment & Disease Monitoring. Georgetown neurologist R. Scott Turner, MD, PhD, diagnosed the patient after a PET scan showed deposition of amyloid in the brain. Until this point, Turner said, clinicians thought that individuals with HIV may not develop AD because HIV-related inflammation in the brain may prevent amyloid clumps from forming. “This patient may be a sentinel case that disputes what we thought we knew about dementia in HIV positive individuals,” says Turner, who leads the Memory Disorders Program at Georgetown University Medical Center. According to the most recent CDC HIV Surveillance Report with data through 2013, 53,000 people in the U.S. living with HIV are 65 and older, the age when Alzheimer’s disease risk begins to escalate. That number is expected to double in less than 10 years and doesn’t include those who have not been diagnosed. Worldwide, more than 37 million people are living with HIV.